Hefeweizen (pronounced hef-a-vise-en) is a wheat-style beer that I love! Generally served with lemon wedges, Hefeweizen beer is a perfect beverage to pair with Spring and Summer inspired ingredients! 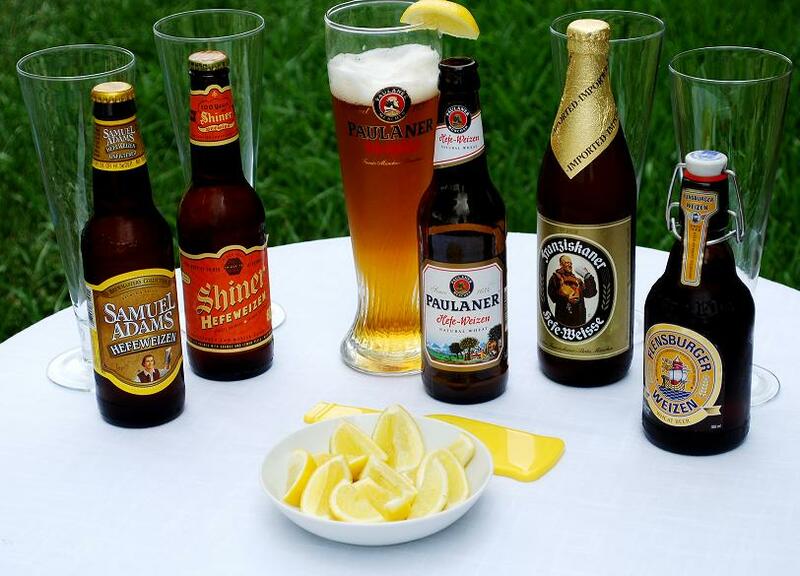 Featured are five versions of this style of beer; Samuel Adams® Hefeweizen (Boston, MA), Shiner Hefeweizen (Shiner, TX), Paulaner Hefe-Weizen (Germany), Franziskaner Hefe-Weisse (Germany) and Flensburger Weizen Wheat Beer (Germany). There is a vast array of wheat-style beers available, so explore what your local store has to offer. Have some friends over, try a few and see which one is your favorite. Cheers!